a supremely rich & quickly absorbing mixture of Nature’s hardest working emollients, intended to restore moisture to skin in need of intensive repair. 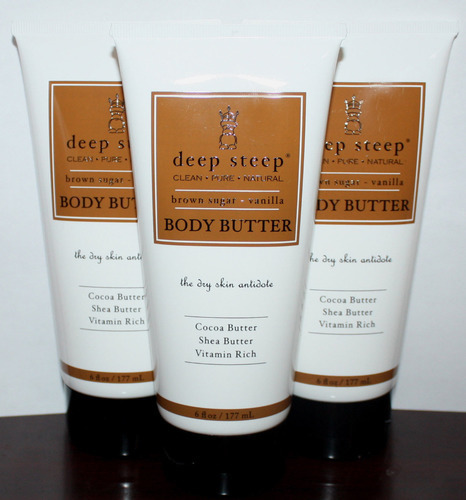 Butters of Shea and Cocoa moisturize without feeling heavy or greasy on skin. Recommended for parched skin and arid climates. Ingredients: Organic Aloe Barbadensis (Aloe Vera) Leaf Juice, Sucrose (Sugar) Extract, Vanilla Planifolia Fruit Extract, Organic Helianthus Annuus (Sunflower) Seed Oil, Glyceryl Stearate (Vegan), Glycerin (Vegan), Caprylic Acid (Coconut Fatty Acid), Aroma (Organic and Wildcrafted Aroma Blend), Organic Butyrospermum Parkii (Shea Butter), Tocopherol (Vitamin E) Natural, Organic Theobroma Cacao (Cocoa) Seed Butter, Cyamopsis Tetragonoloba (Guar) Gum, Xanthan Gum, Potassium Sorbate.